It’s a record of unparalleled achievement, but barely a year after the Scot stepped down it appears there is one gaping hole in the Ferguson management repertoire - successful succession planning. United’s sacking of David Moyes must be the bitterest of pills for Ferguson to swallow. Not just because he had handpicked Moyes as the “Chosen One,” but also because of the mess the club now finds itself in. Out of the European Champions League group stages until September 2015 at the earliest, more pressingly United’s squad needs a major overhaul - arguably another unwanted legacy from the Ferguson era. The departure in July 2012 of Frenchman Paul Pogba, rapidly emerging as one of Europe’s most talented midfielders at Juventus, is looking increasingly like the steal of the 21st century. Just as importantly, United's next coach needs to establish a coherent playing philosophy, which Moyes never quite managed to do. “Pep Guardiola or Jurgen Klopp were not available last summer, but hypothetically: the kind of football that they advocate is arguably more progressive, fluid and unpredictable than the kind that Man Utd have played this season,” Tor-Kristian Karlsen, former chief executive of French club Monaco, told CNN. It is arguable, given Ferguson’s ability to hoover up so many trophies, that no-one could have successfully succeeded him, but the speed of the decline has been a surprise. “I don't think anyone could ever imagine Manchester United falling out of the top four and getting knocked out of two cups at home to reasonably weak opposition,” added Karlsen, who is now working as a consultant in the football industry, including advising club owners and boards on succession planning. But the way Moyes struggled with the task of succeeding his fellow Scot begs the question as to whether United has become too big a club for one man to successfully run, given Ferguson’s legacy. Should the United board have insisted upon a more radical overhaul of the club’s football operation when Ferguson stepped down? "What you have to remember is that Alex Ferguson evolved into that role over 26 years,” former Fulham manager Rene Meulensteen, who worked with Ferguson in various coaching capacities for over a decade at Old Trafford, told CNN. “He was completely embedded in the club. 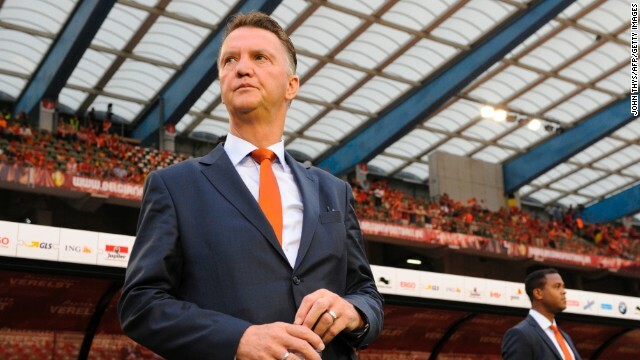 He was in a completely different position to David Moyes,” added the Dutchman. “Maybe in hindsight David probably underestimated the magnitude of the position. I tried to explain to David that it would be like going from steering a yacht to a cruise liner. At Champions League holders Bayern Munich, the team’s former star striker Karl-Heinz Rummenigge works in the boardroom, while another ex-Germany international Matthias Sammer is deployed as the club’s sporting director. It is a model that has helped make Bayern probably the best club in the world at the moment. “I honestly believe that a club of Manchester United's size and stature is too big to rest on the shoulders of one man,” said Karlsen. “Ferguson was able to build his empire over years and years, consolidating his power gradually. Meanwhile the hunt is on for Moyes’ successor, with Ferguson reportedly again involved in helping find the right man for the job. With Klopp and Guardiola appearing happy at Borussia Dortmund and Munich respectively, Netherlands coach Louis van Gaal and Real Madrid boss Carlo Ancelotti are reportedly leading contenders to take charge at Old Trafford. “The decision on the next manager is crucial,” said Karlsen. “If they manage to get that appointment right and spend their resources wisely in the summer, Manchester United might even be back chasing titles next season. Karlsen has one final thought as to a candidate the United board might want to put on their shortlist - Italian coach Luciano Spalletti, who has most recently managed Zenit St. Petersburg and Roma. Reblogged this on Bakshi Asuman Khan. best quote so far-"dont be the man who follows the man -be the man who follows the man who followed the man "
Utd 7 Roma 1... Spalletti?? Manchester United will surely rise again. Wishing the footballers, fans and the think-tank happy times all over again. a true leader knows that he cannot lead forever. he has to build a winning team and a culture that will make it possible for another leader to take over. Like Liverpool who had problems after major changes have now found there foot....Man U will overcome soon cauz someone will have to step up to the plate and not so much mimic Sir Alex hwr inject their own game plans, preparation and reassert the focus on winning...lots of ppl including the players are still not over sir Alex's impact....Man U GET WITH IT NOW!! !